I love how it can be used by 8 or more student for just $24.95. Once you download it, there are several options for use depending on the age of the child and what facts you would like to work with. The Learn button will take you to Beginners where you can do Dot Cards (adding domino faces). The Intermediate level will do more of the traditional Flash Cards, choosing from add, subtract, multiplication and division. The flashcards in the learn mode are not timed. For timed drills you would go to the Compete button. Practice mode gives two options for beginners; dot cards and key board entry. This gives beginners the opportunity to learn the numbers on the keyboard and learn those before they are timed in a competitive manner. Intermediate will continue to practice with flash cards. 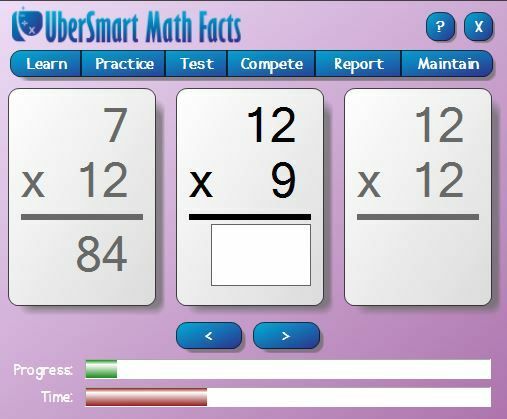 The Test portion of the UberSmart Math Facts gives an assessment test while the Intermediate level gives a mastery test. The test portion gives you a good idea of where the kids are as they study and learn. A great place for the parents to track their learning processs. The last tab is Maintain and this is where you add in your students, change your administrative password, get updates and information about the program. This is not a flashy system. It is basically like doing flashcards, but releases the 2nd person and allows the computer to do the work. It is perfect for those in between times when I am working with one student and I can set up a child to do review while I am busy. It is great for my 6 year old! He gets done with his other independent work and I can have him learning rather than disrupting the rest of us. 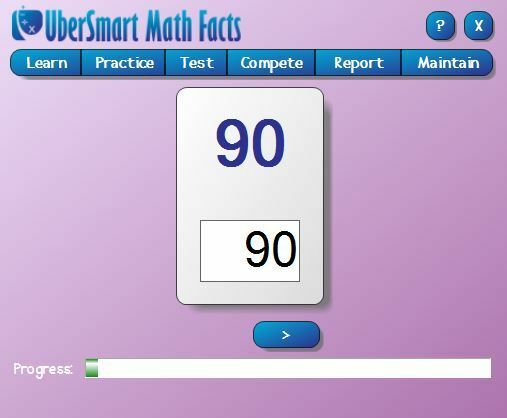 The Addition/Subtraction goes up through the 9s. Multiplication/Division has the option to set it to go up to 9's - 20's. I have used this with my 1st grader, 4th grader and just a short bit with my 7th grader. We all struggle with our multiplication tables and this program has been so helpful in the consistency needed to memorize. I have actual flash cards, but I am not consistent enough to remember to use them.. but if I write UberSmart on my planner than I know to set the kids up to be free to work. Being as it is not real flashy, or 'game like' it isn't something the kids ask to do in their free time. It isn't a 'game' for them to play, rather a consistent help in mastering skills they very much need. They complained at first that it was boring. We pushed through though and I think they are enjoying seeing their own progress and realizing that they are indeed mastering some of these hard math skills simply through repetition. I can not stress how important it is for the kids to have a strong mastery of these facts prior to moving on to higher math. I am very thankful for the opportunity to utilize this tool for the kids. 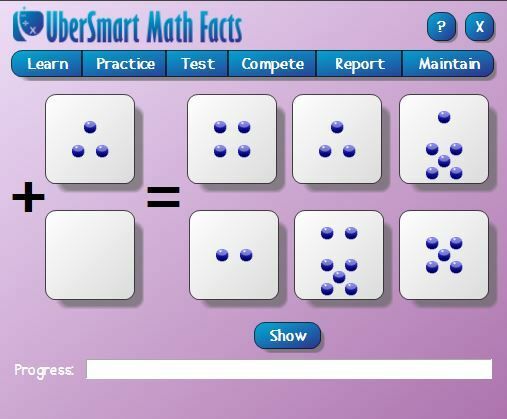 Check out what other crew members thought of the UberSmart Math Facts by clicking on the link below.